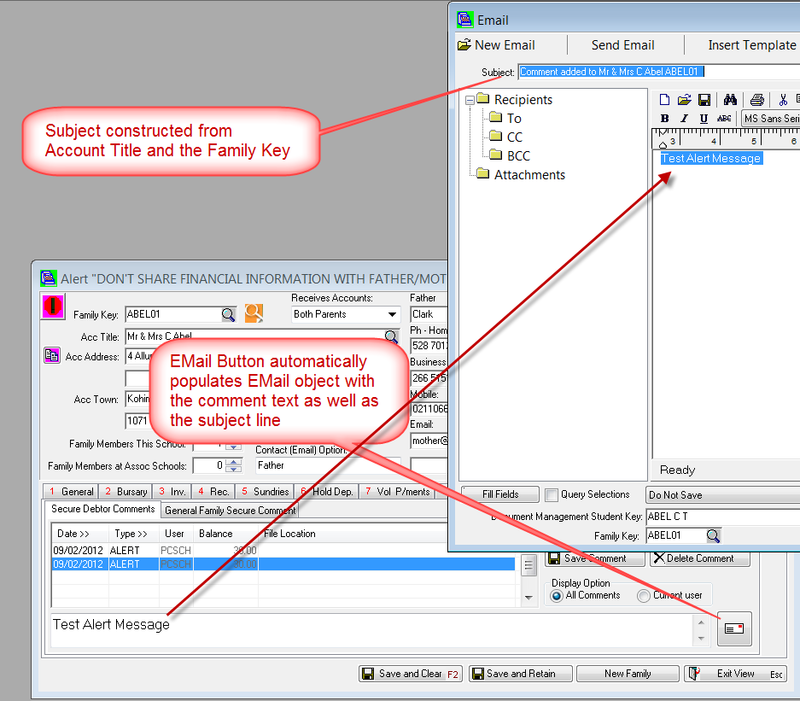 Debtor Version 2011.2.0.185 (must be on Curric Version 2011.2.0.473 or above). Visit the PCSchool Downloads page to get the latest Followup. 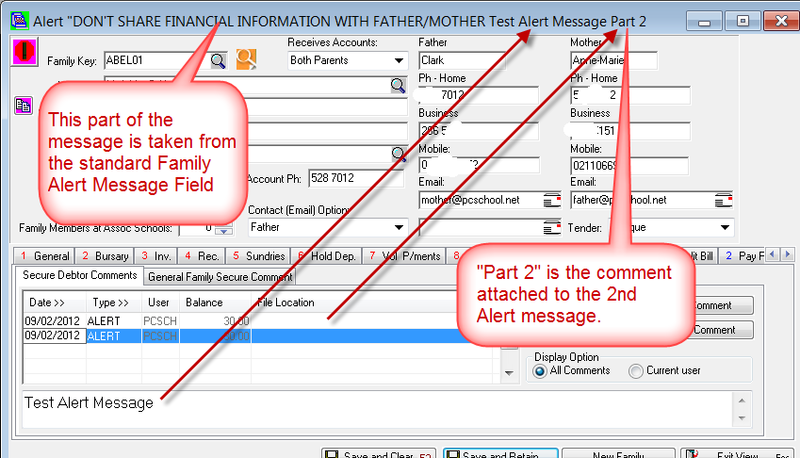 We have added a Category to the Debtor Messages where by a message of Type “ALERT” will display on the top of the Account Masterfile whenever the specific debtor is brought to the screen. An Embedded EMail Button has been added to the Debtor Comments. Where the user has highlighted a Comment in the grid then pressing the new button will take that comment and a constructed Subject directly into PCSchool’s Email object enabling you to simply add the recipient and send (all from within PCSchool. This entry was posted in Debtors and tagged Classroom Management, school administration software, School Administration System, School Management Software, School Management System, Student Information System, Student Management System by studentmanagementsoftware. Bookmark the permalink.